As a homeowner, it’s perfectly natural to wonder how much your house is currently worth (and, not so incidentally, how much money you might make today if you were to sell it). Even though the internet has brought information about home values directly to our fingertips, not all of it is reliable — that’s one big reason why appraisers are still in business, charging hundreds of dollars for an accurate valuation. And the truth is that sometimes even appraisers get it wrong. Your house is worth whatever a buyer in your market is willing to pay for it, and that’s usually not evident until you put it on the market and start considering offers. All that said, there are still ways you can assess your home’s value without actually putting it on the market. Here are nine things to consider when you’re trying to figure out how much your house is worth. Your property tax bill isn’t an exact estimate of your home’s value, but it’s a good jumping-off point. Homes are assessed for property taxes at different times, depending on which state, county, or city you live in. In most states, homes are assessed for taxes every five to seven years; depending on how recently your own home was assessed, you may be able to use the assessment as a starting point for figuring out how much your house is worth. To pinpoint a home’s value, most professionals use “comps” — this is just a term for homes that are comparable to yours that have sold recently, preferably within the past three months, but possibly as long as six months ago, depending on how many homes are for sale in your area and how easy it is to find comparable homes. At least three comps should be identified and used to find your home’s value, but you can use as many comps as you like; five or six might generate a number that more accurately reflects your home’s fair-market value. What makes a house comparable to yours? It really depends on what comps are available in your area. They should definitely be as close to your house physically as possible, and preferably should “look” a lot like your house in terms of the number of bedrooms, bathrooms, square footage, and total lot size. Preferably, the comps will also align in details like the number of parking spaces and even the material used to build the house. To find some comps yourself, look up homes that have recently sold in your area or neighborhood. Try to be as honest as possible with yourself; you’re not going to get a reliable valuation if you’re only looking at luxury homes and your house is not also a luxury home, or if you’re only considering mid-level houses and yours is a starter home. The recently sold homes should be as, well, comparable to your house as possible for this to be a valuable exercise. In some markets where there just aren’t very many homes for sale, it might not even matter that much if your house is comparable to others that have recently sold. The San Francisco Bay Area is a good example of a market where there isn’t a lot of available inventory (a fancy term for “homes for sale”) and therefore even tear-down homes can capture seven-figure sales prices — buyers are just that desperate to get their foot on the housing ladder, and they’re willing to pay whatever it takes. Those markets are few and far between, but it’s still a smart idea to look at how many homes are for sale in terms of total inventory and then use that information to determine how much your own house might be worth. In areas where there are a lot of homes for sale, you might not be able to capture a price at the very top of your price range — but in areas where there are very few homes for sale, it’s likely that you’ll be able to get a lot closer to top dollar for your own house. Although online tools for calculating your home’s value are everywhere, they aren’t always accurate. One reason is because many of them use the same process as a human would to assess value — namely, comps — and a robot or algorithm isn’t always as good at picking the best comparable homes as a human would be. (This is why valuation tools like Zillow’s Zestimate usually don’t capture the actual sales price of a house.) Another reason is that a robot or algorithm hasn’t actually seen your house; they haven’t walked through it to determine whether the flooring, finishes, appliances, and other details are above the market average or below market average, so it’s really not possible for them to give you a totally accurate value for your house. In fact, it’s a lot easier to get an accurate online valuation for a cookie-cutter house in a recent development with lots of current sales than it is for a one-of-a-kind property. Nonetheless, if you want a quick answer, sometimes an online tool is the fastest way to get at least a ballpark range. There’s a very simple one at the Federal Housing Finance Administration, which looks at when you bought your house, how much you paid for it then, and then tells you what it’s likely to be worth today just based on the housing market: https://www.fhfa.gov/DataTools/Tools/Pages/HPI-Calculator.aspx. Zillow, Trulia, and realtor.com all have home valuation tools, too, and your local real estate brokerage might even have one available for you to play with. Another way to determine your home’s value is to look at the average price per square foot in your area, take your own home’s square footage, and do a little bit of math. But like many math problems — especially when it comes to home valuations — price per square foot can be tricky, so make sure you’re being smart when you use it to calculate your own home’s value. When you’re considering the square footage of your home, the best way to think about it is the “gross living area” of the property, or GLA. Your unfinished basement isn’t really “living area,” and neither is your creepy and inaccessible attic, so don’t include those spaces in your calculation of square footage. Additionally, bear in mind that the metric you find is most likely to be the average price per square foot in your market or neighborhood, and averages can skew high or low depending on the pool of properties that’s creating the average. An average price per square foot in a neighborhood like Beverly Hills is probably pretty high, but if you live in an older, run-down home in Beverly Hills, that average likely doesn’t apply very much to your house — it’s being pulled up by all the multi-million-dollar homes in the area. The same goes for the nicest house on the block: If that happens to be yours, then the average price per square foot is likely lower than what you’d be able to get for your house. The land that the house sits upon is also critical when you’re trying to figure out how much the house is worth, both in terms of its exact location and also in terms of how much land there is. A big lot in a neighborhood with lots of small lots will probably boost the value significantly, and vice versa — a small lot in an area where the lots tend to run large might not do you any favors, unless it also has some unique aspects like a gorgeous view or access to a body of water. Everyone wants to believe that the house where they’ve been living, breathing, and making memories is one of the best homes in the neighborhood — and for you, that’s true. But is it true for a buyer who has no emotional attachments and has already looked at several other houses just like yours in the past few days, and maybe a few nicer, newer homes? A BPO is a broker price opinion, and a CMA is a comparative market analysis; you can get either of these documents from a licensed real estate agent, who likely knows the market very well. After all, they list and sell houses every day, so they probably have a pretty good idea of what yours is worth. You don’t necessarily have to sit through a sales pitch to get your hands on either a BPO or a CMA, but you will probably have to pay for a BPO. 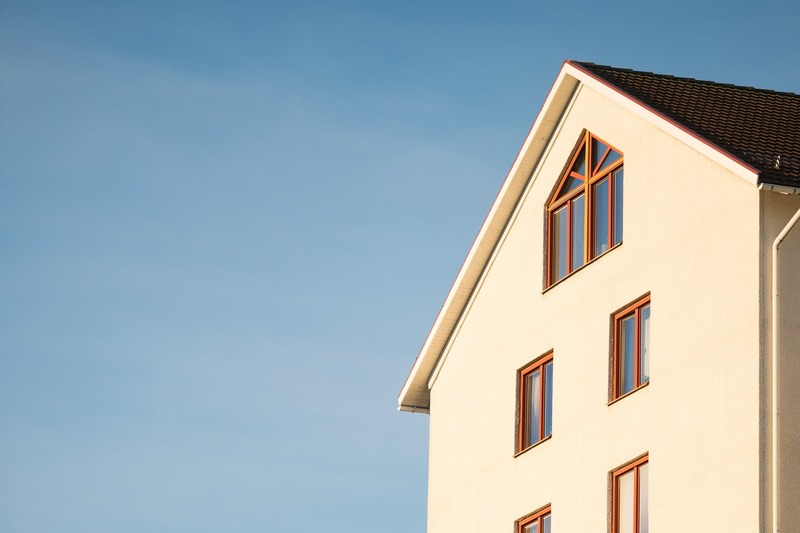 Many companies that deal in mortgages use BPOs to assess home value, including mortgage securitizers and whole loan investors, so they tend to be more reliable than a CMA. Some real estate agents will send CMAs to their past clients regularly, just to keep them up to speed with what’s happening in the market, and it’s usually free to request and access one if you’re curious. A real estate agent or broker isn’t the only person who can assess your home’s value; you can also go straight to an appraiser and order an appraisal, but be aware that depending on the demand for the appraiser’s time, it could take several weeks and cost a few hundred dollars to get their professional opinion. So an agent or broker might be your best option if you want to save money and you’re not interested in selling your house immediately. In fact, developing an ongoing relationship with a reliable real estate agent or broker can be a real advantage to a homeowner; they can help you understand whether the deck you want to add is going to boost your home’s value (and by how much) or give you advice about where to spend your home improvement dollars if you’re planning on making some upgrades. Valuing a house isn’t an exact science, but there’s a lot you can learn on your own if you choose to. Remember these tips and don’t be led astray by online tools or other potentially faulty valuation methods — ultimately, an expert in the real estate industry could be your best asset for determining your home’s value.